The accurate and comprehensive manner of agreement writing is very essential so that the items present in an invention agreement will be equal and beneficial to all the entities involved in the transaction. An invention agreement is a kind of contract agreement given to an employee who will give the rights for the invention that he/she has made to the company where he/she currently works at. 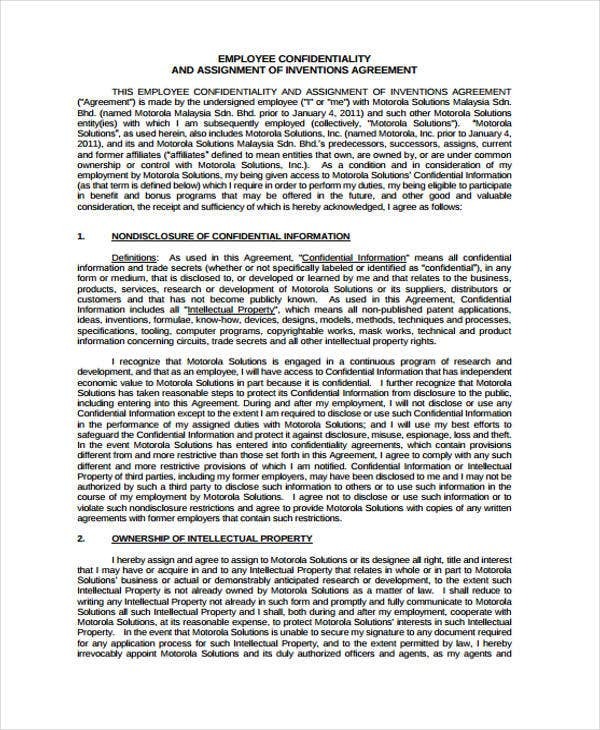 We have compiled a number of invention agreement templates and samples in Word and PDF that you may download and use as references in creating the invention agreement that you need in a specific transaction where this particular agreement has to be done. What is an Invention Agreement? An invention agreement details the handling of the intellectual property of the business. 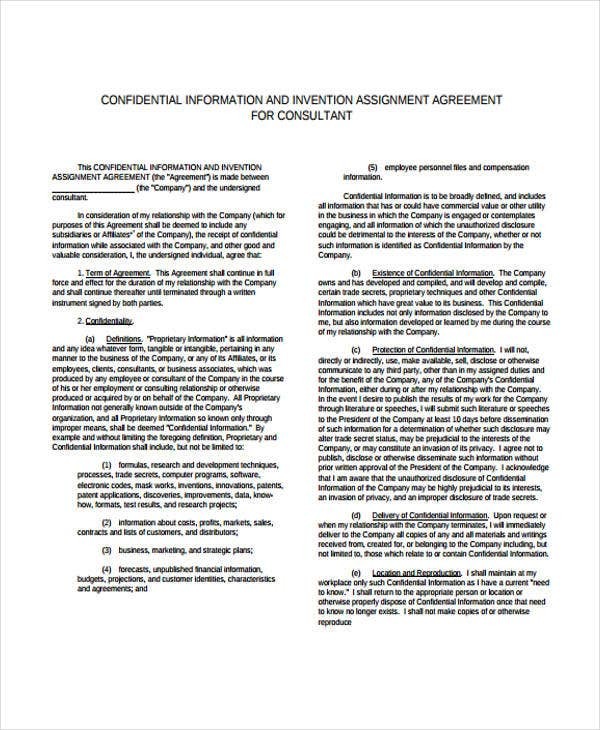 It is a kind of an agreement template that includes a confidentiality agreement to protect sensitive information. 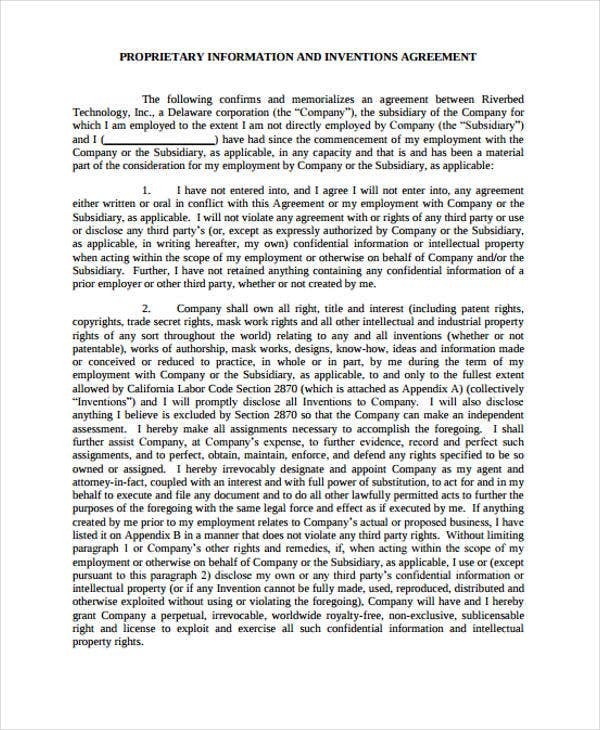 This agreement is done between a company and an employee which also requires the presence of consultants and other corporate entities depending on the scope of the transaction. 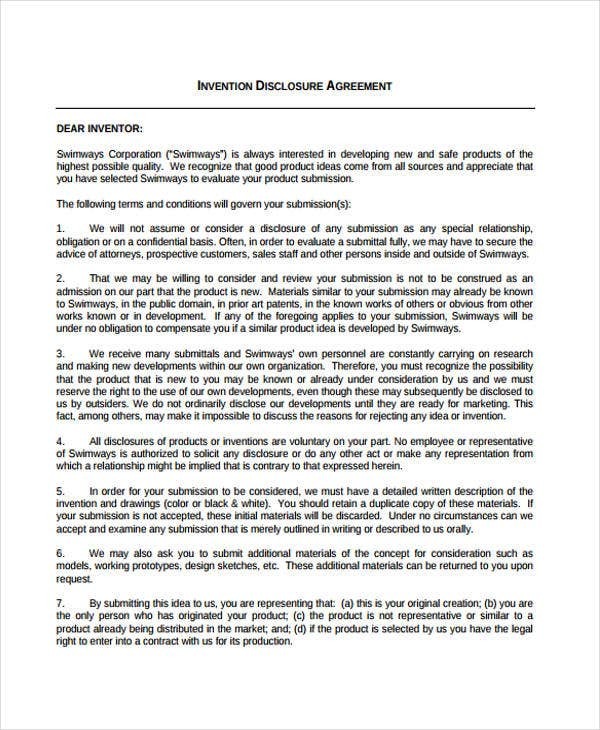 Should You Sign an Inventions Assignment Agreement? 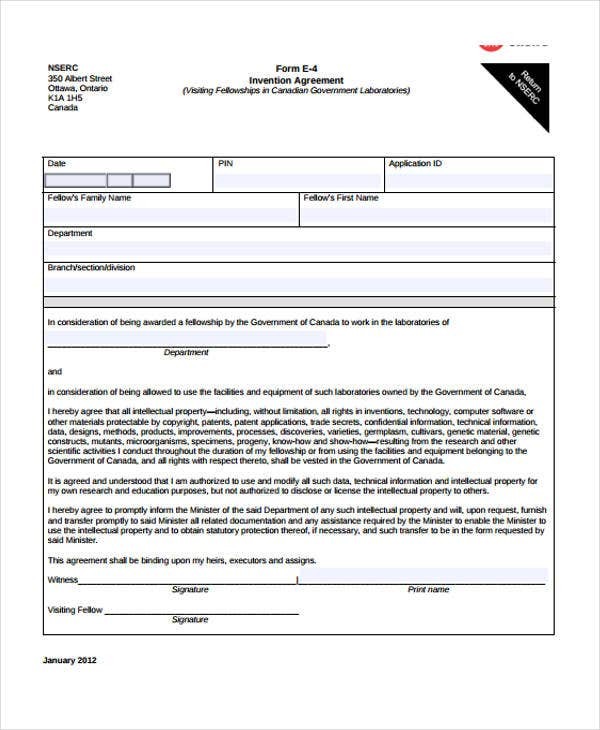 If you are a new employee to a business who creates products, you are normally required to sign this document for the safety of the information of the product creation and other assets that the business has exposed you with. 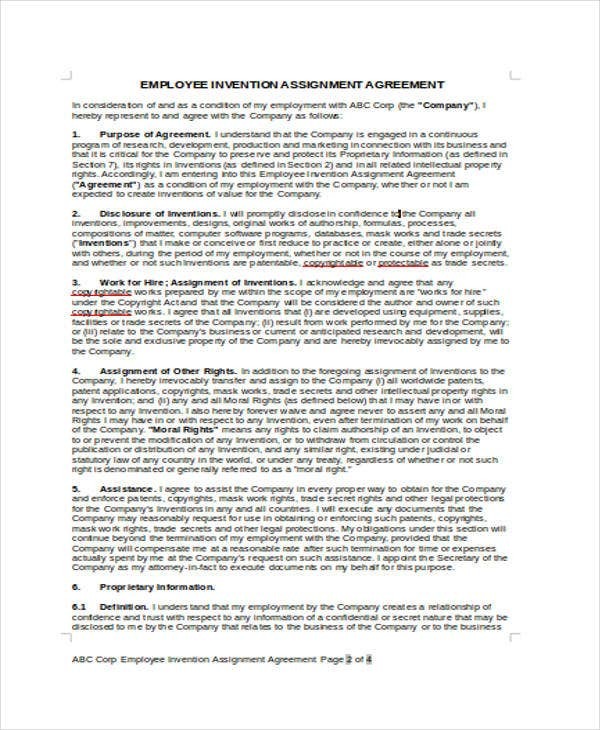 You can also sign an inventions assignment agreement even if you are already an employee of a business for a long time as human resource departments only nee to make sure that all their files are updated and the employees of the company are aware and reminded about the inventions policy of the business. 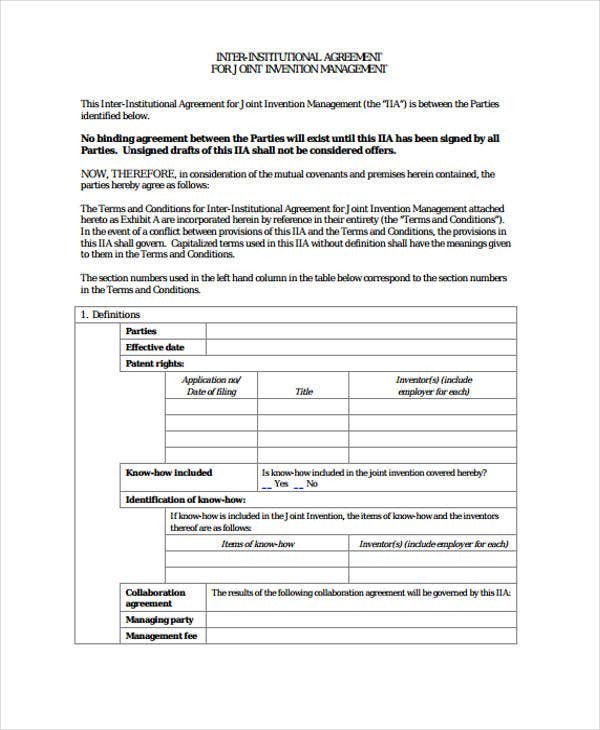 Make sure to use any of our printable agreement templates that you can browse through at this post especially if it is your first time to create this particular type of document. Just like an assignment agreement template, your invention agreement template must contain the precise items that are needed to be understood and / or executed of the entities to whom the document is for. Assure that the invention agreements contains the discussion about the rules that the employees need to follow with regards to the intellectual property of the items that they will develop which are already considered as the company’s. Be specific with the definition of intellectual property and the entire scope of the invention agreement that an employee will sign. 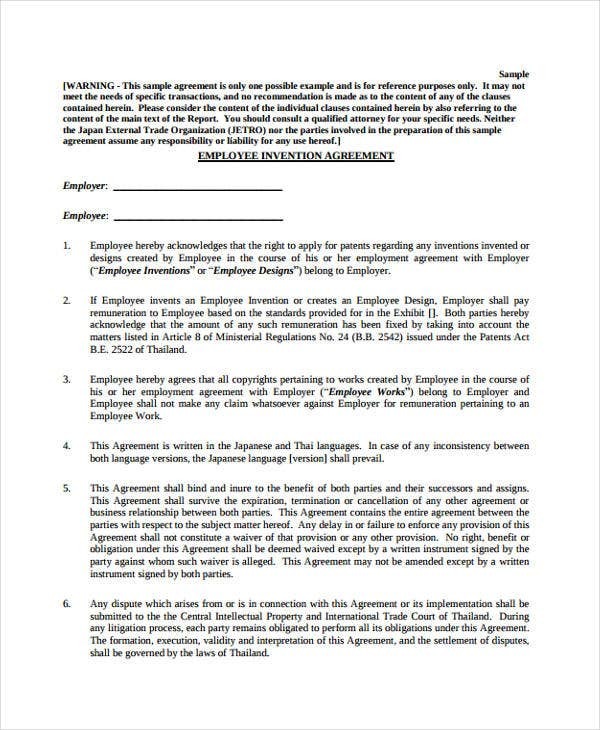 An invention agreement is an important document as it assures the protection of the intellectual development created by an employee within his/her stay in the company. We hope that the tips and guidelines that we have shared can help you to create an organized and comprehensive invention agreement.